When a guy likes you, it’s obvious. It will be clear to you and everyone else around you. 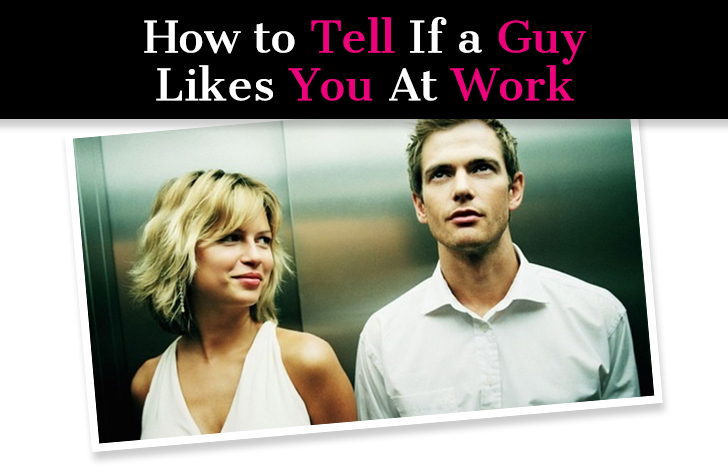 But if a guy likes you at work … it’s going to be just a little less obvious. And the reason for this is pretty obvious: getting involved with someone you work with isn’t always the best idea. Well, it is if the relationship works out … but if it doesn’t, things can get ugly and incredibly uncomfortable. At the same time, your workplace might be a great place to meet men, a definite step up from bars and clubs and so much easier than sifting through an endless sea of faces on dating apps. And when you meet a guy at work who you click with, you may be tempted to throw caution to the wind and start a relationship. But does he feel the same? Now, this is where it gets tricky. If you’ve decided that the pros outweigh the cons and you’re interested in someone at work, how can you tell if he likes you? The bottom line is, a guy may hesitate to start anything because if it ends, it can impact not just his romantic life but his professional life as well. So is he just being a good coworker, or does he really like you? If you’re not sure, look for these subtle signs that he’s into you. Do you catch him looking at you during meetings or in the break room? Does he make eye contact with you more than usual? Longer than usual eye contact can be a very intimate thing, and it’s a way of almost touching you without actually touching you. Pay attention to how much he’s focusing on you in general. For instance, it would be totally normal for him to be looking at you if you’re giving a presentation or you’re the one talking, but if someone else is talking and he’s still looking at you, it means he finds you more interesting than anything else in the room. If he’s chatting up everyone in the office, he’s probably just a social butterfly. But if he talks to you way more than anyone else, he’s showing signs of being interested. Does he make a point of coming by your desk or standing next to you a lot to chat with you each day? Or maybe he sends you regular notes online via a work messaging service or email about things that aren’t work-related? If he’s making chit-chat, then he’s showing signs his interest in you goes beyond work matters. Does he sit next to you in meetings? When everyone goes to lunch or happy hour, does he make a point of grabbing a seat next to you? If he wants to know you more, he’ll spend as much time as he can in your presence. He’ll want to see you and talk with you and just be near you. MORE: Does The Guy I Work With Like Me? Does he ask your opinion about topics that aren’t technically in your lane? Does he ask you for updates about things that he should already know about from emails, like details on office parties or projects? If so, he’s basically just finding any excuse to talk to you. 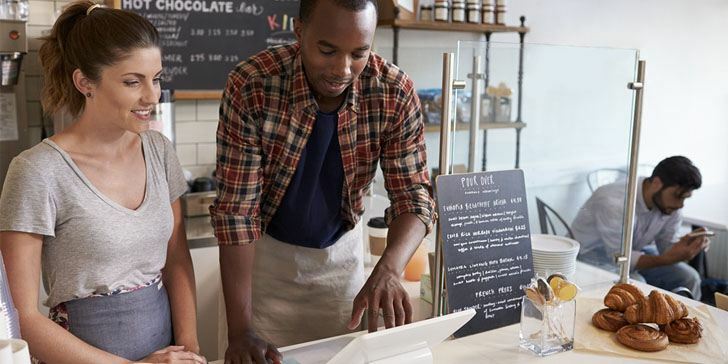 He’s always finding little ways to help you out, whether it’s making photocopies for you, covering a shift, grabbing you a coffee when he makes a run, or spotting you for lunch when you forget your wallet. If he’s offering to help you out in any way he can, and this happens a lot, he’s more invested than a simple coworker. If he’s interested, he’s going to want to spend time with you outside of the office, and a work outing like a happy hour or holiday party or lunch is the perfect low-key, low-risk way to do this. He might not be interested in going if you won’t be there, so if he’s into you he’ll check in advance to make sure you’re going, and he might even offer to save you a seat to make sure you get some one-on-one time together. This is one of the most obvious but still subtle signs a coworker is into you. Seeing you at work outings represents a chance to talk about something other than work, have a drink, and loosen up a little, and he’ll want to take advantage of the opportunity. A guy sharing and opening up is a big sign he likes you. This doesn’t mean he’ll ultimately want a relationship, or that he’ll end up wanting to take the risks inherent in dating a co-worker, but it means that he does have feelings for you … what he decides to do with them is another matter. If a man opens up to you about his ambitions at work and his career plans and goals, even though that’s work-related it’s also a very good sign that he’s into you. 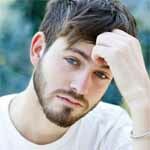 For men, opening up about their ambitions can be an intimate and personal thing, and he may be feeling you out to see how supportive you are, or he may be trying to impress you. That’s not something a typical coworker will try to do! He may not directly flirt with you, but he’ll joke around and he’ll want to make you laugh. Guys love making you laugh. This can be a form of showing off for you or preening, and it’s fun. If he’s the “class clown” and he’s being silly to the whole office that’s one thing, but if he’s directing all of his energy into trying to make you laugh, it’s a sure sign he’s into you. You may even have some inside jokes, just the two of you, and may even have nicknames for each other. These are ways he can playfully tease you and create a form of intimacy with you without crossing over the line. If you need last-minute help on a project, he’ll set aside what he was working on to give you a hand. If you feel like he makes you a priority and is fully there when you need him, this is going above and beyond and is not the normal behavior of a co-worker, and it’s a good sign he’s interested in you. A major sign a guy likes a girl is that he remembers what she tells him, even the most inane details. If you talk to him about a work project he has nothing to do with and he remembers all the finer details weeks later, it means he was really paying attention. Most coworkers will pay attention but only remember the broad strokes or the bottom line of what you were talking about. Or if you tell him something about a vacation you’re taking or time you have to take off for a personal matter, he’ll remember the dates and the particulars. He’ll know when you’re leaving and when you’ll be back. If he doesn’t have a photographic memory naturally, then his super-strength memory when it comes to the details of your life is a dead giveaway that you matter to him. If he calls and texts about non-work related matters, staying in touch with you outside of work, this is a sign he likes you. It means he’s thinking about you outside of work and he wants to stay connected to you. Does he send you emails or texts about articles he thinks you’ll be interested in, or send you funny updates about something going on at work, when it could easily wait until the next day? A regular coworker would probably just wait and talk to you when they see you at work. If he’s reaching out to you outside of work, he’s probably testing the waters to see if you like him back and would be open to more non-work contact. This is one of those areas where a coworker may not show the exact same signs that he’s interested that a guy you don’t work with will, because he’ll be trying to stay in the lines of what’s appropriate for work. He won’t tell you you’re beautiful or that you smell good, but he might say you look nice, or notice a new haircut or dress you’re wearing. His compliments may steer entirely clear of your physical appearance to be on the safe side, in which case he might compliment your work or the way you handle yourself in a meeting or the way you deal with a difficult customer. A man who likes you can’t help but tell you the things he likes about you, so pay attention to his words! Body language doesn’t lie. If he likes you, you’ll see it from head to toe. He’ll make eye contact, angle his body toward you, smile when talking to you, lean in when you talk even though he can hear you perfectly fine. These are the signs any guy who likes you will display, but a man at work will probably be a bit more obvious about liking you with his body language because it’s an indirect way to show that he’s into you. Even though body language is unconscious, on some level he’ll want to compensate for not being able to be as open and direct about his interest level in the workplace, so he may subconsciously be more obvious with his body language because he’ll want you to know. If you mention another guy, does he immediately perk up? Do his eyebrows raise, or does his voice change? If he’s into you but feels like he can’t express that openly because you work together, he may feel even more threatened than usual by other men that he’ll view as competition, especially if those guys don’t work with you and have more access to you in a personal way. In addition to the signals above, he’ll ask questions about any guys you mention to try to figure out their relationship with you. Maybe he’ll respond by referring to the guy as your friend or your boyfriend, to see if you correct him. The key is he’ll show some interest and will want to know more. This is related to him wanting to spend as much time as possible with you, wanting to talk with you and see you and be near you. If he sees you getting up to step outside for fresh air, he may jump up and say he’s dying for a break, too. Or he may suggest taking breaks together. If he’s going for coffee he’ll stop by your desk and ask you to join him. If he notices you go for a walk at lunch, he may tell you he’s trying to get more exercise and ask if he can join you on a regular basis. The point is, he’ll want to spend some extra time with you at work not working. If you’re taking a break, it gives him a chance to get to know you on a more personal level, and if he can make it a regular thing, all the better. The number one tip for knowing if a guy likes you is you just know. Trust your gut. If you just feel like he likes you, the chemistry is electric, and he lights up around you, it’s a good bet he likes you. If you get the vibes that he’s different around you than anyone else, it’s because he’s putting you in a different category than anyone else and you’re picking up on it. He may be a little more discreet about it at work, but your gut doesn’t lie. 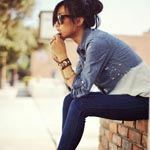 Just because a guy at work likes you doesn’t always necessarily mean he wants to be with you. It’s possible that he just doesn’t think you’re a match (we can like someone and recognize they aren’t compatible with us), or maybe he just doesn’t think it’s worth the emotional risk. There are no guarantees when it comes to relationships, it’s a risk no matter what. When you spark up a workplace romance, that risk becomes even greater because if the relationship ends, you will still have to see each other every day. This will not only be awkward, it will make it really difficult for you to move on. However, many long-lasting relationships and even marriages have started at the office, so it’s not beyond the realm of possibility. You just both need to be on the same page. If he doesn’t want to pursue anything, then you can’t force him to change his mind.